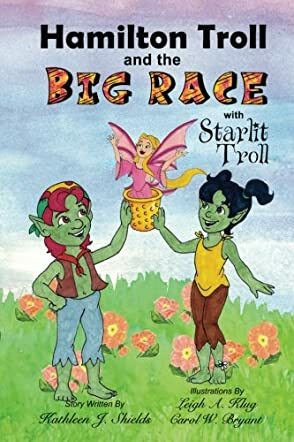 Hamilton Troll and the Big Race by Kathleen J. Shields is an adorable story for children that revolves around Hamilton, the troll. In this book, Starlit challenges Hamilton to a race. Hamilton is sure he will win and Starlit is sure she will defeat Hamilton in the race. The race is important to Starlit as she wants to prove to Hamilton that all the stories and adventures she has told him are true. They are neck to neck in the race and Hamilton is sure he is going to win. Things don’t go the way he expected and Hamilton is angry and upset. Pink Light Sprite comes to him and gives him some important lessons that change the way he thinks about his loss.